This assumes you have reviewed IBM GSKit (Global Security Kit) - Getting Started (command line) or IBM iKeyman - Getting Started (GUI). The -cert and -list options can be used to view the certificates and keys in a Key Database. 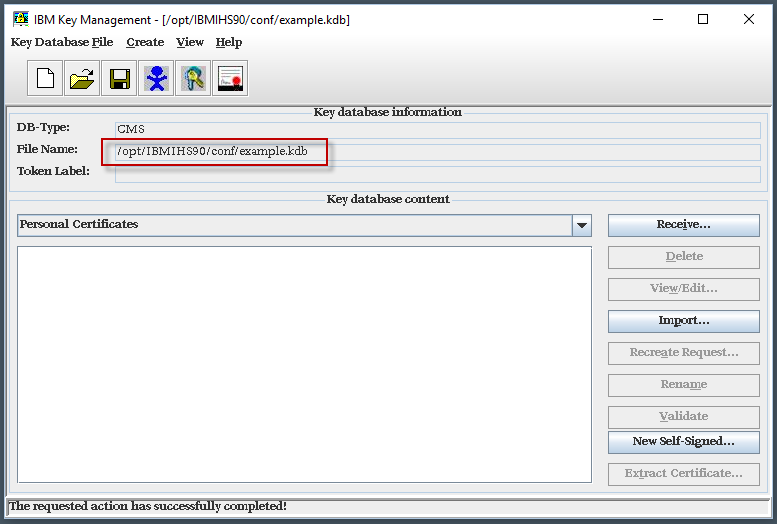 If the key database does not contain any certificates or keys, the following will be displayed. In this example, there are two certificates in the database (default and example). Be aware that line 2 is a key or legend, that simply defines certain special characters used to identiy an entry as a default, personal, or trusted certificate, or as a private key. 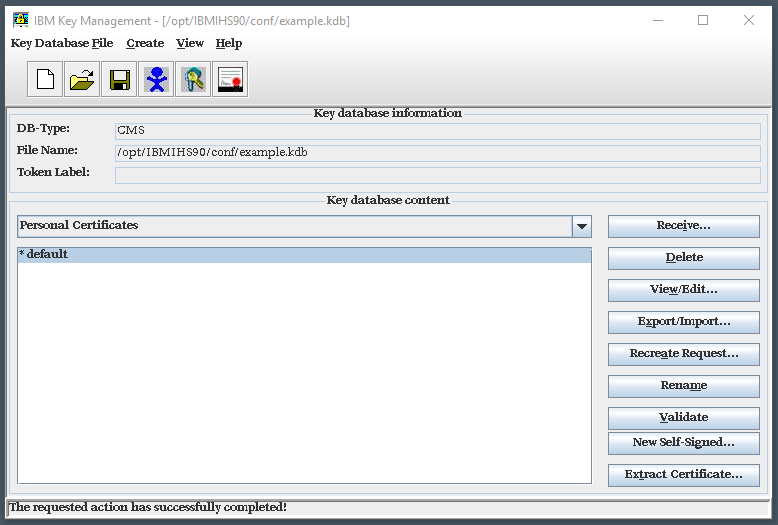 If the key database does not contain any certificates or keys, the main panel of the GUI will just be an empty, white space. On the other hand, if there are one or more certificates or keys, they will be listed. In this example, there is a certificate with an alias of "default".